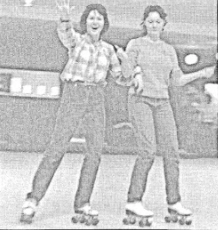 From the January 1980 issue of The Chant, two students skate their way through the class offered at North Cobb. Sporting plaid and bright white skates, students wore the trendy styles that accompanied rollers at the rink. Imagine going to Sparkles for a class everyday. Believe it or not, in the 1980s, NC offered a roller skating course for students to take. The Chant published an article about this brand new class in the January 18, 1980 issue. The class, described as instructional and fun, required a $20 fee that included transportation and rental skates. Along with roller skating lessons, students also learned disco moves. Exams in the class consisted of a written test and a skills test, which required students to skate forward, backward, with a partner, and a sequence of dancing disco steps. Students today would love this class in their schedule. “I think this class would be so much fun today because it is similar to P.E., but enjoyable. It would also be fun to compete with friends. It is a unique sport that not many people do,” senior Tess Thompson said. Modern NC students may find it a lark that roller skating was then a potential addition to personal fitness, but as a healthy, lifelong activity, roller skating certainly covers many bases as an aerobic yet exciting alternative. Roller skating burns calories and increases physical and mental strength. Skating relieves stress and simply makes the skater happier. Today’s teenagers use any form of stress relief they can find to escape from the pressures that come with growing up. “A roller skating class today would be very beneficial to high schoolers. It would teach balance and coordination, and it is good for keeping active,” Sparkles owner, who is only known as Mr. Sparkles, said. Although the Disco Era ended in the 70s, permed hair and bold colors stayed on-trend well into the 80s. Roller skating, a popular pastime in that decade, kept teenagers busy on Saturday nights. Celebrities, such as Cher, skated, which made it all the rage among high schoolers. 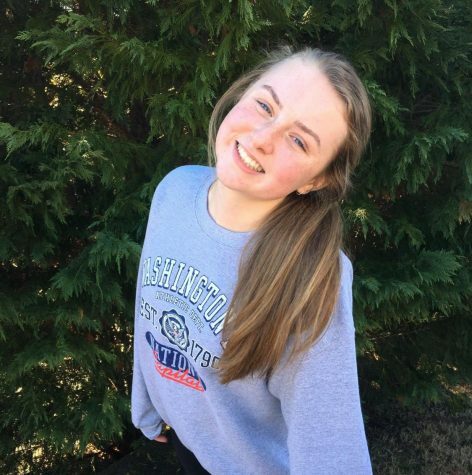 “Logistically, I think the course could be an issue due to time spent traveling to and from Sparkles and the fact that there would not be a long amount of time actually spent skating,” AP Seminar and Honors Literature teacher Jenna Essenburg said. 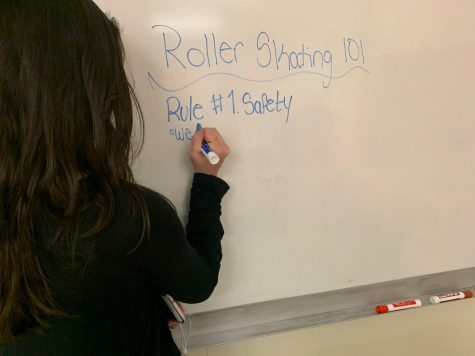 Sadly, due to liability issues, such as injuries, a roller skating course may not survive in today’s school climate. However, the class could provide an exciting alternative to a typical gym class, and a student could find their true passion through roller skating. They could even join Team USA’s roller derby team!